Glitter and bling Cheer Grandma shirt will have the other team running for their sunglasses! 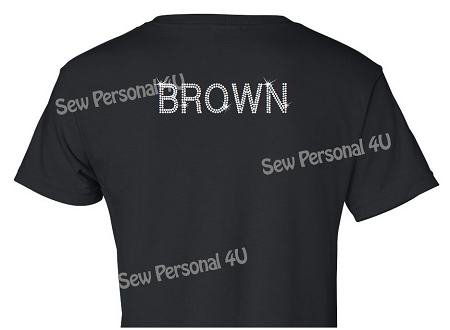 Fun shirt sparkles like crazy and can be customized with a name on shirt back. T-Shirt choices are unisex black t-shirts, ladies tshirts which are contour cut, or junior sizes which are run small and fitted. We recommend ordering up one size for adults, as they are designed for young teens.